Niagara on the Lake has a lot to offer the aspiring purchaser of a vacation home. The quaint small-town feel, the beauty of our historic buildings, a great relaxed atmosphere and a way to get away from the hustle and bustle of city life are all major draws to this area. Many people wonder if purchasing a vacation home is the right move. For the prospective buyer, a home away from home has a lot to offer. Here are a few reasons why you should consider purchasing a vacation property through Niagara on the Lake Realty. There are a lot of advantages to owning a property as a family retreat. After a few trips to the area, you will get to know all of the best local amenities. Whether it’s your favorite small antique shop, the best eateries and pubs in the area or the fun tourist attractions, they will all be on your mind after only a few visits to Niagara on the Lake. In addition, by purchasing a home you will save trouble on deciding where to go on vacation, and on planning the details of your trips. All you need do is pack your bags for a couple days, weeks or months and go! Your vacation property will become a second home, but without the stresses of your daily life. 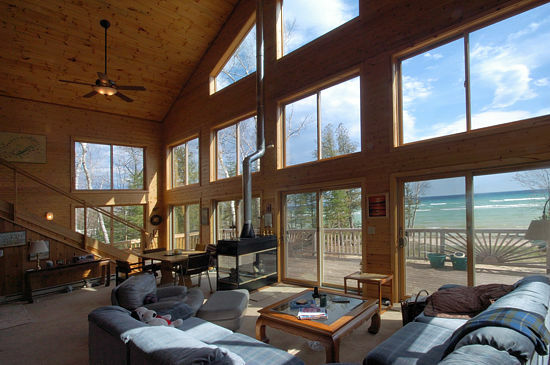 Many vacation properties eventually turn into places for relocation. You might find that you love our little town even more than your current permanent home and move here for good. In fact, we hope you do! Even if you remain in your own home, however, it is nice to have a potential retirement home when the time comes to leave work behind and live the easy life. A vacation home serves as insurance that there is another place out there that you can call home for good, should you ever need to do so. You can always exercise the option to rent your property to others needing a vacation space, creating a potentially excellent secondary stream of revenue. This can help you build up a great nest egg, college fund or retirement fund as the years go by. It is also well-known that real estate is an excellent investment. If you keep your property in good repair, you may decide to sell it several years down the line for much more than your original purchase price, and if you do, our agency will be there to help you in that endeavor as well! These are just a few great reasons to consider purchasing a vacation home at NOTL. If you are thinking about buying or selling a property in our region, give us a call today. We look forward to working with you. This entry was posted in Blog, Uncategorized and tagged Retreat, tips, Vacation Home on May 8, 2015 by wp_admin.